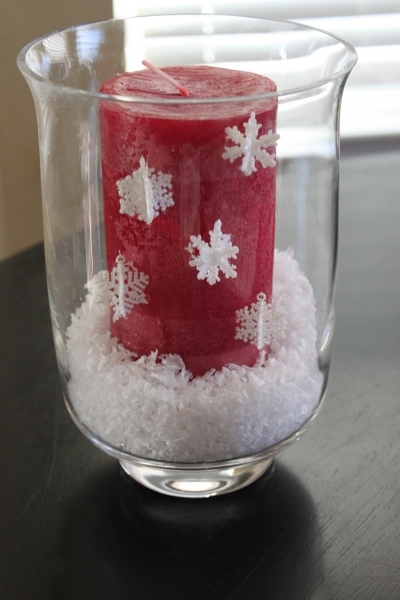 As part of my Christmas mantle decorations this year, I made this really simple snow candle. 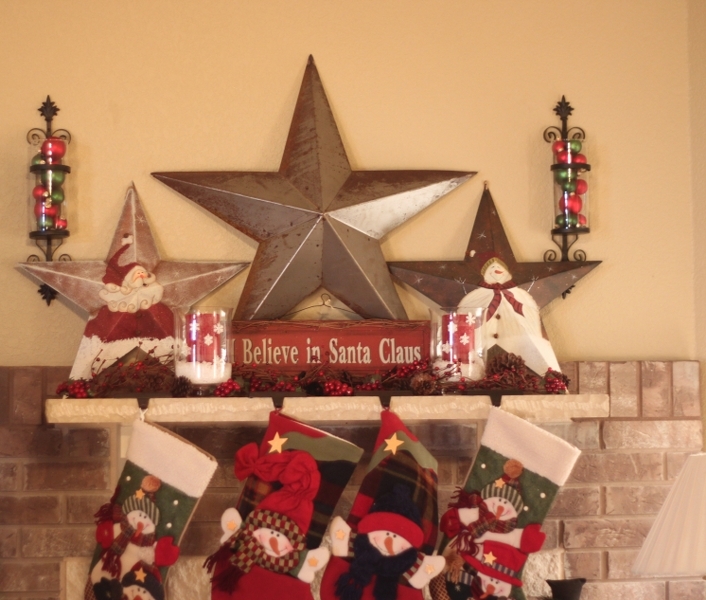 I glued mini Christmas ornament snowflakes to a red candle. Then, I added a little snow to the bottom.